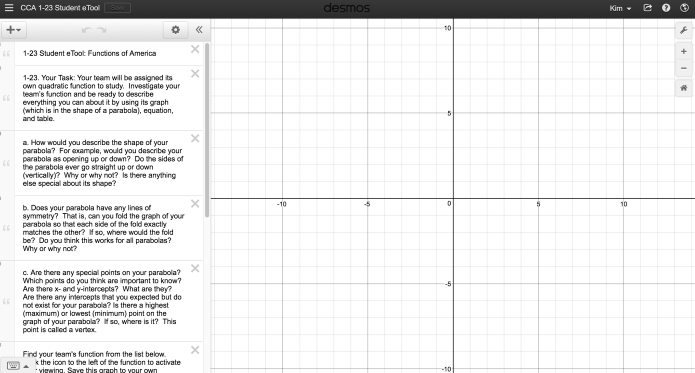 Click on the link below for the "1-23 Student eTool (Desmos)." 1. Click on the "white" circles to view graphs. Teams can customize this graph by deleting unneeded graphs and modifying the one for their project. 2. Graphs when they are all open! Zoom: Graphs when they are all open!